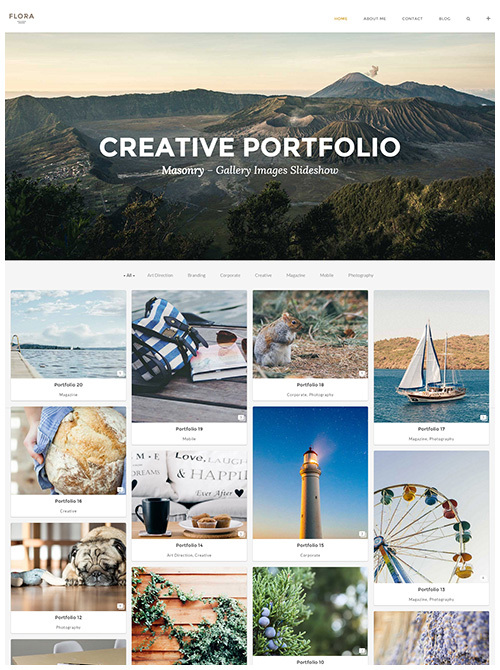 Flora’s meta options make it easy to customize your content for each page, blog, portfolio and other custom post types. 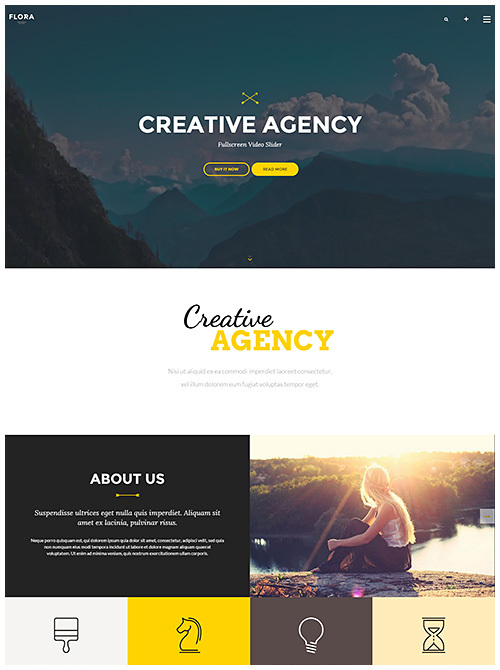 Apply page title, backgrounds and custom sidebars. Flora offers a fully customizable title area background with multiple options. Parallax with Fade, Full Screen Background, Video Background, Image Background, Unlimited Background Color and Color Overlay. 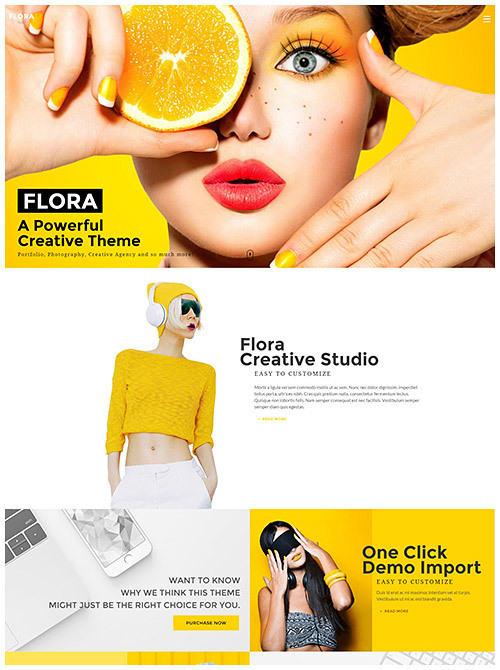 Flora includes 4 navigation templates, Classic, Expand, Fullscreen and Left Menu with sliding bar widgets, dark & light color and customizable background. Take advantage of our user friendly admin panel that will let you configure every aspect of your site with just a few clicks. These options are intuitive and very powerful! Flora comes with the most popular drag & drop page builder, Visual Composer with our custom add-ons integrated. Easily create responsive pages and posts. 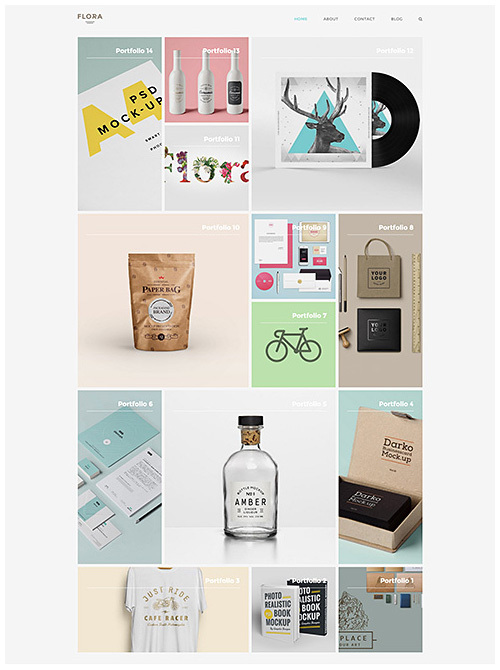 Over 50 content elements, you can build any page layout without coding! Flora includes over 500 Google Fonts. You can easily customize font styles (size, color, weight, line-height, letter-spacing, subset, etc.) with font preview. 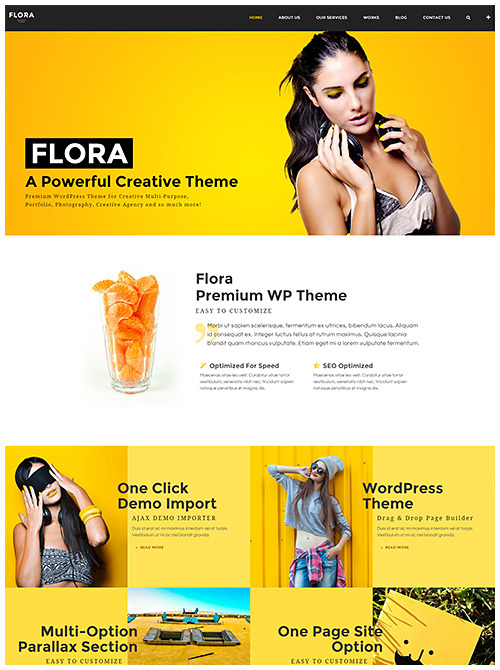 Flora comes with the awesome premium WordPress plugins, Visual Composer ($33 value) and Slider Revolution ($18 value). Flora is 100% responsive for all content elements including the premium slider are fully responsive and ready for all devices. SEO base built-in, ready to help you get higher rankings. 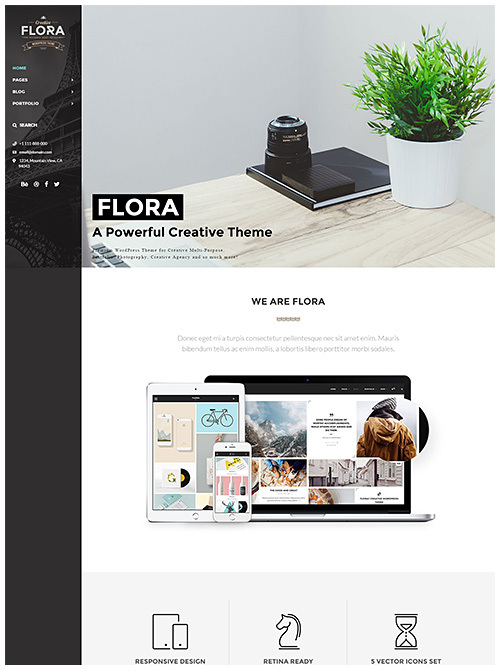 ©2019 Flora - Premium WordPress Theme. Powered by WordPress.